Richard graduated from the University of Waterloo with a HBSc. in Kinesiology, he later earned a Doctor of Physiotherapy Degree from D’Youville College in New York. 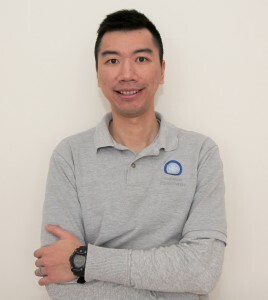 He has extensive post-grad training in manual therapy, functional exercise prescription, and therapeutic sports taping. With his background as a kinesiologist, he has an innovative approach to his physiotherapy practice. Richard has extensive experience in orthopaedic and sports physiotherapy in the U.S. and Canada. As a physiotherapist, he has worked with athletes, coaches, and military personnel and treated patients in the Medical Rehab Units (MRU), Intensive Care Units (ICU), Emergency Departments (ER), Orthopaedic Hospitals, and Outpatient Orthopaedic Clinics with great success. Richard is proud to be a physiotherapist in Stouffville, where he lives and raises his family. Richard uses a combination of manual therapy and his innovative functional exercise to: (1) address the root cause, (2) restore function, (3) improve performance, and (4) prevent future injuries. His practice approach leads to a personalized goal-oriented experience through physiotherapy. Vivien graduated from the University of Toronto with a Masters of Science in Physical Therapy. As an advocate of disease/injury prevention, Vivien believes education is the key to motivating her clients to actively participate and take control of their health during and after the treatment program. 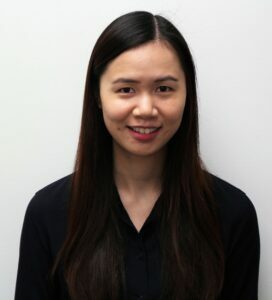 Vivien’s treatment approach focuses on manual therapy and she uses her creativity to tailor exercises to individual needs. She has a special interest in sports injury, orthopaedic post-operative rehabilitation as well as neuro-rehabilitation. During free time, you’ll find Vivien bouldering, playing racquet sports or cheering on her favorite soccer team!